Today it’s a world-famous shopping destination. And while Singapore’s Orchard Road has come a long way from its nutmeg plantation roots, a new government-led initiative aims to transform the 2.4 kilometre retail haven into an urban green corridor, reaffirming its reputation as Asia's foremost shopping mecca. 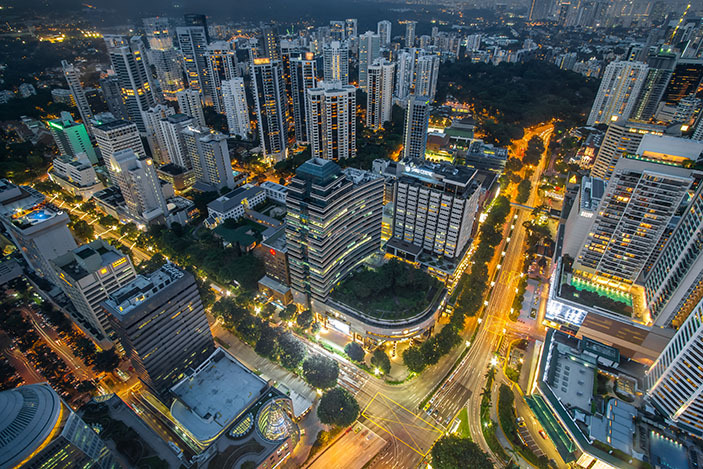 In new plans unveiled by the Singapore Tourism Board (STB), Urban Redevelopment Authority (URA) and National Parks Board, Singapore’s famous Orchard Road aim to reinvigorate Singapore's Orchard Road as ‘the lifestyle destination’. The proposal was led by a study conducted by Cistri, the international arm of Australian planners Urbis. 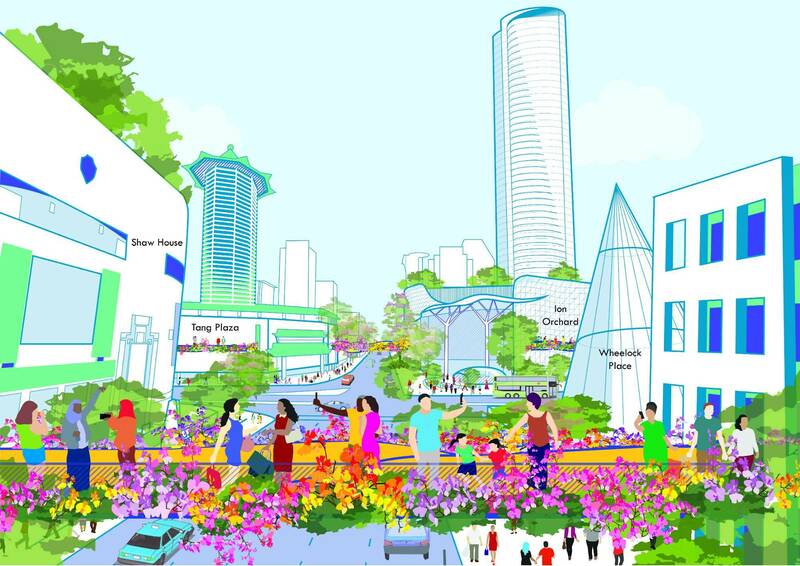 “Orchard Road is a place where people experiment with new ideas and continuously innovate,” Trade and Industry Minister Chan Chun Sing said at the launch of the Orchard Road rejuvenation exhibition. “So for us, when we discuss Orchard Road it’s never about a static project, it’s never about something that is set in stone. Cistri director Rahul Mittal told The Urban Developer that broadening the focus of Orchard Road beyond shopping and enhancing it as a lifestyle destination would provide all stakeholders with additional reasons to visit. “Also through our study, we uncovered some great long-term options for the continuing evolution of Orchard Road,” Mittal said. The proposed plan includes enhancing the character of the four sub-precincts of the 2.4 kilometre stretch, namely Tanglin, Orchard, Somerset and Dhoby Ghaut. The re-development strategy follows two key visions: To make Orchard Road “the lifestyle destination” and to honour the precinct’s history through “bring back the orchard”. Re-aligning the tree-lined street with its past as a nutmeg, clove and fruit orchard, “bring back the orchard” vision will prioritise the installation of garden displays within each new Orchard Road sub-precinct. The move to improve Orchard Street’s foot traffic through activation of the public realm comes in the light of a global movement in this direction, with stakeholders eager to increase visitation and dwell times in retail centres. Much like London Mayor Sadiq Khan’s announcement pedestrianising Oxford Street in late 2017, Orchard Road is anticipated to reap the benefits of reinvigorated pedestrian spaces. Urbis Group director James Tuma said that Australia can take some lessons from Singapore’s lead into the retail renaissance. “There will always be a need for structured reinvestment over time, and while the pedestrian is important over other modes, also acknowledging that full pedestrianisation isn't necessarily the answer either,” he said. The “compression of retail streets to maximise impact and vibrancy” along with “a strong landscape and event narrative” are also of central importance. 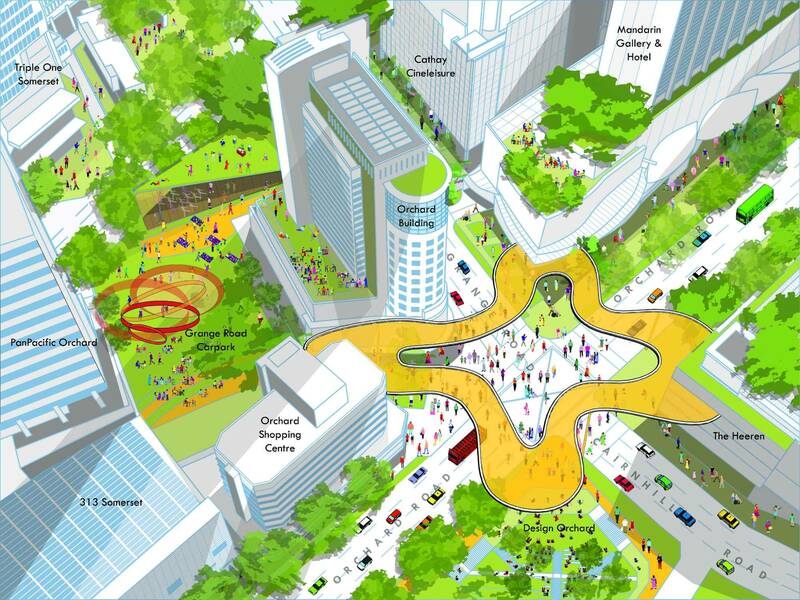 A one-year trial, beginning in April 2019 and led by the Orchard Road Business Association, will see experiential activities line this section of the mall, such as retail, food and beverage pop-ups and arts and entertainment events, forming the archetype for activities to fill the enhanced Orchard.